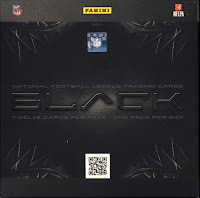 I was rather critical of 2011 Panini Prime Signatures Football last year. The majority of my criticism was levied on the checklist of hits where it appeared the likelihood of pulling a big hit was lower than usual. 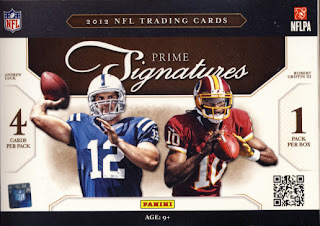 To Panini’s credit, the 2012 release of Prime Signatures Football takes bold moves towards a more evenhanded product. As a small example, there are twice as many chances to pull a Tom Brady autograph this year. 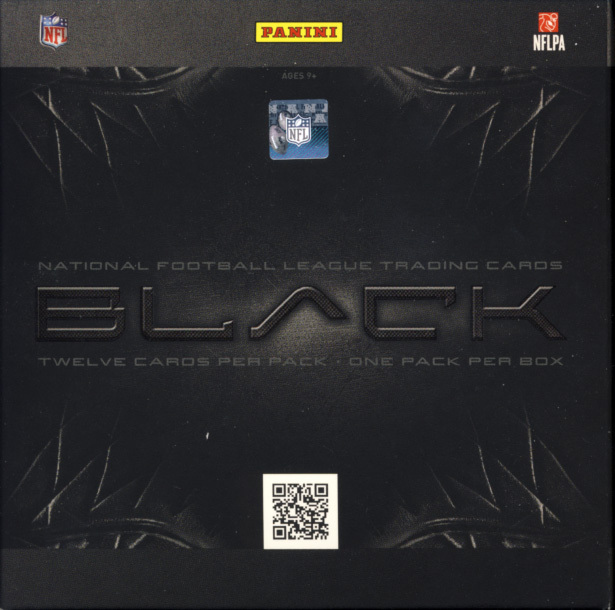 There are new hit cards like dual signed Greatest Combo Signatures, Rookie Extreme Prime Materials Jumbo featuring on-card autographs with a jumbo prime swatch numbered to 99 or less and NFL Shield versions numbered to 1 and Pen Pals Autographs features Dual, Triple, Quad, Hexa and Octo versions. With a great rookie class and the product returning at the same price point, 2012 Panini Prime Signatures just might be the comeback product of the year and one that I can get behind.